In episode 130 of Crivins, Kevie is joined by Bugcast co-host Dave Lee (AKA thelovebug) and first time guest Lainey to discuss the story that has been shown around the world and reported widely on national news channels of the US security guard and the school girl. As the basis of the discussion, take a read of these two stories: security and cage. The trio discuss the dangers of trial by media and snippets of information being used to form very one sided arguments. Crivins 129 – Can Free Speech Be Too Free? Following an extended summer break, Kevie returns to the Crivins hot seat with Caroline Lee (Moosical). Caroline is no stranger to the podcast, having filled in for Kevie during a previous summer break. In the episode the discussion starts with the use of Telegram by Islamic extremist group ISIS and this develops into a conversation about freedom of speech. Is too much freedom a good thing or a bad thing? Author Kevie MacphailPosted on 8th October 2015 Categories Crivins (OGG)2 Comments on Crivins 129 – Can Free Speech Be Too Free? As Canonical ponder the possibilities of becoming a publicly traded company, we discuss the future for Canonical, and Ubuntu. With major companies now using data mining as a primary source of revenue, the die is cast. Is the battle to protect your privacy about to enter a new phase? As more of our household appliances become smart, will legislation be required to force manufacturers to keep patching them? If not, we’ll have armies of vulnerable devices being used in botnets, sapping our bandwidth and maybe inviting a knock on the door from the authorities. Crivins 125 – Time For a Killer App? Will smart watches take off or will they need some killer apps and a lack of vendor lock-in to succeed? 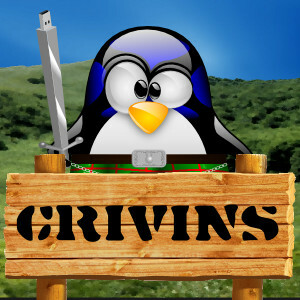 Author Kevie MacphailPosted on 28th April 2015 Categories Crivins (OGG)Leave a comment on Crivins 125 – Time For a Killer App?